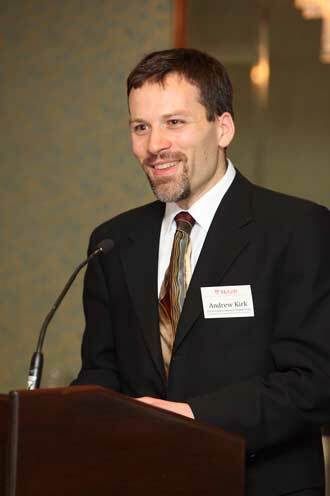 Prof. Andrew Kirk, Director of the McGill Institute for Advanced Materials (MIAM). Prof. Andrew Kirk, Director of the McGill Institute for Advanced Materials (MIAM) and Associate Dean of Engineering (Research and Graduate Education), has garnered a $1,620,500 grant from the Natural Sciences and Engineering Research Council of Canada (NSERC)’s CREATE Training Program for his proposal on Integrated Sensor Systems. The Integrated Sensor Systems program is a multidisciplinary training initiative focusing on the design, fabrication, integration and packaging of sensors. “Sensors are the link connecting a physical parameter of the external, analog world to a data processing unit, similarly as our own five senses that connect to our central nervous system,” explained Kirk. With the grant, Kirk envisions training 104 graduate and undergraduate students over six years; providing extensive hands-on experience in design, fabrication and characterization; and international exchange and industrial internships to form a key part of the program. The first graduate trainees will begin in September 2010. The program’s partners include Ecole Polytechnique, Institut national de la recherche scientifique (INRS) and Universite de Sherbrooke, as well as industrial partners that include DALSA Semiconductor, IBM, Perkin-Elmer Optoelectronics and international partners such as CAE-LETI, Cornell and Kyoto Universities. The Honourable Gary Goodyear, Minister of State (Science and Technology), and Dr. Suzanne Fortier, President of NSERC, announced the winners of the medals and fellowships in Ottawa on June 4. Through the CREATE program, 20 projects will receive $32 million over six years that will help science and engineering graduates upgrade their skills to make a successful transition to the workplace. The projects explore a variety of research areas, including photonics, climate change, civil engineering and optical networks.